A Baker’s cyst also known as a popliteal cyst is a medical condition wherein excess fluid (synovial fluid) accumulates and forms a bump behind the knee. The condition is usually the result of a knee joint disorder such as cartilage tear or arthritis. The cyst is named after a British surgeon William Morrant Baker, who first defined the disease. A Baker’s cyst may cause great discomfort and irritation, but the diagnosis of the basic problem and the subsequent treatment relaxes the condition. There are several steps that can be done to manage baker’s cyst and help relieve patients of the pain and discomfort that are experienced. Anti-inflammatory and pain reliever drugs that can be bought over the counter can be taken to reduce the swelling and control pain. It is best for patients to use a cane or any kind of support that can help in moving around. This will give the legs ample time to rest which will speed up the natural removal of the cyst. It is also good for patients to know from their doctors how much weight can be placed on the knee and follow given instructions diligently. 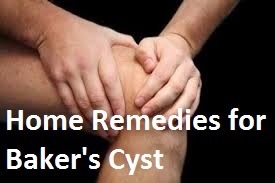 If badly needed, patients can have the cysts aspirated. Doing so will reduce its size which also will reduce discomfort. At often times, the aspirated cysts will be injected with a corticosteroid to prevent and reduce further inflammation. Surgical excision or removal of the cyst can be done for cases that cause severe discomfort. Overall, doctors will recommend the PRICE principle which is protection, rest, ice, compression, and elevation. If the cause of the Baker’s cyst is arthritis, the doctor may recommend some self-care steps to alleviate the pain and to reduce the formation of synovial fluid. These are as follows. P.R.I.C.E: Protection of the legs by walking on crutches, which can reduce the load off the knee. Rest the leg. Ice the sore area. Compression wraps, braces, or sleeves. Elevation of the knee when resting and while sleeping. Change or reduction in physical routine: The doctor may prescribe scaling down the daily activity in order to rest the knee and alternate forms of exercise suitable for the condition may be recommended. Non-steroidal anti-inflammatory drugs (NSAIDs): Anti-inflammatory drugs such as ibuprofen, naproxen and aspirin, and acetaminophen may prove helpful in the reduction of pain. Ginger. Patients can either take supplements or drink ginger tea. This natural treatment has been proven to prevent and decrease inflammation in the joints including those at the back of the knee. Boswellia. This is an herb that has anti-inflammatory properties. It can stop cytokines that is considered a major factor that causes inflammatory cascades. Patients can perform regular motion exercises which can strengthen the muscles of the knee, help control the symptoms of discomforts brought about by the cysts, and help the knee function normally. Rest the balls of one foot on a step while standing up. Bend down and try to touch the knees, keeping knees and the back straight. Stay in the position for 15 to 20 seconds and perform the same routine with the other foot. Wear 1 pound ankle weights and sit on a chair. Put one foot firm and flat on the ground and extend the other straight in front on the chair. Move the foot a few inches off the chair. Keep the leg straight and hold for 10 to 15 seconds. Rest the leg for few seconds and repeat the steps 3 to 4 times. Repeat the same with other leg. Wear 1 pound weights on the ankle and sit on the chair. Extend a leg in the front and stay in the position for 45 to 60 seconds. Bend the knees at an angle of 45 degrees and hold for half a minute. Rest the leg for some time, and repeat 4 to 5 times. Increase the weights according to the comfort and the intensity of the exercise. To prevent the occurrence of Baker’s cysts, it is important for patients to regularly move their knees and do exercises that help strengthen knee muscles like walking.